Part of the Championships series, the TJ Smith Stakes to be held this Saturday benefited from a considerable increase in prize money for the runners who managed to qualify into the event, from $1 million to $2,5 million. All of the focus leading up to Saturday’s race is on Mick Price’s Lanka Rupee, who is undefeated so far this autumn, and looking to end his season in similar fashion. A very strong group of 21 runners will line up for the sprint on Saturday, though, and at such a short distance, the slightest of mistakes can make all the difference. 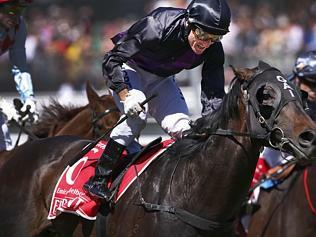 The best place to have a bet on the 2014 TJ Smith Stakes is with Bet365.com. The odds below were taken from the site, and you will be able to find the latest race odds there as well. Bet365.com is also offering each-way betting on the race, with which you will receive 1/4 if should your selection place in positions one to three. The favourite has drawn gate one, meaning he will have the shortest run to the line, but will have to avoid early trouble as the field sets in for the race. Should Price’s Lankan Rupee be able to get a free start, however, it will be difficult for the other runners to get one up over him. The four-year-old has now won five in a row going back to last October, and was three for three in their Melbourne Festival campaign. This year has started in similarly impressive fashion. A first up win in the Rubiton Stakes in February was followed up by two Group 1 victories, as the Redoute’s Choice runner claimed the Oakleigh Plate – Newmarket Handicap Double. Emerging as one of his closest rivals during this period was Spirit Of Boom, whom he beat in both of those Group 1 wins. Tony Gollan’s Queenslander was drawn out in gate 15, but will slip into 13 should the emergencies fail to get into the final field. The six-year-old bounced back nicely from those two defeats to take home the Group 1 William Reid Stakes at Moonee Valley last time out, and Gollan is confident that his runner can take Lankan Rupee to the line once again, though he was worried that the wet conditions predicted could damped his horse’s chances. As mentioned above, the best racebook to place a bet on the 2014 TJ Smith Stakes is Bet365.com, who will offer the best odds on the race. When visiting Bet365.com, click on ‘Horse Racing’ in the left sidebar and scroll down to the Antepost section of the page, where you will find the markets for this race and many more. The TJ Smith Stakes is a Group 1 weight for age race, run over a distance of 1,200 at Randwick Racecourse in Sydney. As it forms part of the inaugural Championships series, the prize money for this year’s race has been bumped up to £2,500,000. The winner of the 2013 edition of the race was racing legend Black Caviar.